Choosing the Best Home Theater System is almost synonymous with owning the best Home Cinema hall, period. One of the toughest decisions to make is which product is right for you. From captivating compact products that impress with premium quality design, to powerhouses packed with top-class features, to highly affordable products that blow above their weight, and all-round great models, the HT market flooded by an overwhelming variety of products. The many variations in features, specifications, brand names, design and built-quality makes finding the ultimate HT system for you extremely subtle. To help you find a good product, we’ve rounded up the Best Home Theater Systems out there today, rating the products on audio experiences, offered features, overall performance, durability, design quality and, of course, value for money. Remember, the term “Best” is subjective, and sometimes listed criteria are not enough to make a clue of how worthy a device really is, and it is completely our team’s opinion based on our experience. In this sum-up, we are considering at the absolute best – the HT models you cannot go wrong with. So here, they are – the top Home Theater Systems money can buy today. For many various reasons. The list includes few latest sizzlers and few all-time top class models; of course, they are still selling like hot cakes. SoundTouch 130 model is one good product that received tons of positive reviews from its users. This model from Bose offers a balanced package with good audio performance and brimming high-end features in a compact bundle. The combo comes with sleek and superior finish sound bar, compact control console and powerful acoustic mass module. Key features include, Bluetooth & Wi-Fi wireless play, internet radio, online streaming support, multi-room support, 4K input and flex-mount technology for amazing audio experience. Read user reviews..
By and far the best overall performed Home Theater money can buy today. 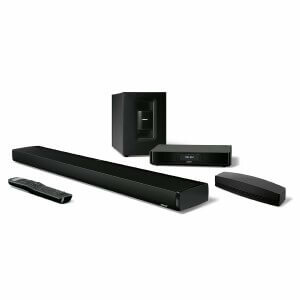 The model brings up immersive surround sound experience from its five Series II speakers and compact wireless Acoustic module. 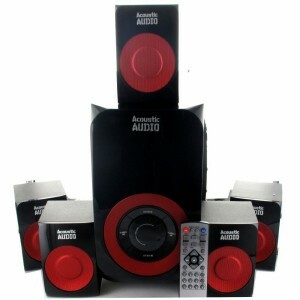 With this bundle offer, you will get five powerful satellite speakers, wireless acoustic module, sleek control console and multi-purpose remote control. The device supports wireless connectivity, internet radio, online streaming services and smartphone controls. Explore complete features.. This model is almost a perfect budget HT system. The model is not a bad contender in terms of specifications, a budget friendly but powerful performer. This model is power-packed with useful features like Wi-Fi connectivity, wireless channel speakers, video upscaling, realistic surround sound effects and web browsing support. A good option for those who expect tons of features from a budget friendly Home Theater. 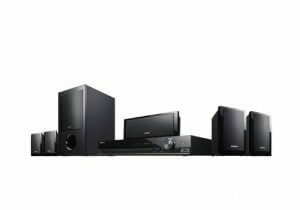 To explore more details Click Here..
Onkyo, the brand that cannot ignored when it comes to top quality Home Cinema Systems. The HT-S3500 model from the well-known brand received tons of positive reviews from users. 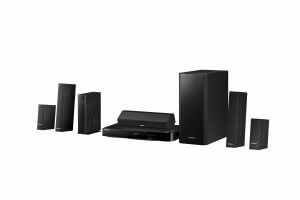 The 5.1 channel system comes with 660 watts output, powered by Dolby TrueHD and DTS-HD Master audio drivers. 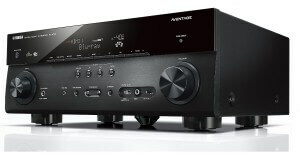 Read user reviews..
One of the best-selling Yamaha product, the RX-A740BL comes with 4K video up scaling capabilities. The 7.2 channel receiver sports high-end technologies like YPAO – Reflected sound control and optimization, Virtual Cinema Front from immersive surround sound experience, multi-room audio support, smartphone controls, Built-in wireless and Wi-Fi Direct, 4K UHD pass-through and internet radio. Check Price.. The LG Electronics BH6730S 3D Home Theater System released last year and became one of the much-hyped products in very short time. 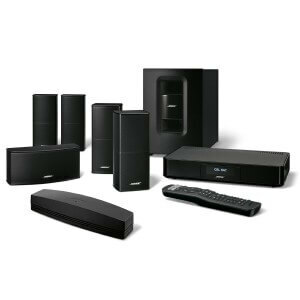 The powerful system comes with 1000 watts output and specially designed for 3D DVD entertainment. The device also supports web browsing and media streaming through YouTube, Vudu, Netflix, CinemaNow and other services. The system also has innovative technology that sends audio directly to your smartphone. Many people find this technology very useful to watch movies in night using earphones, without disturbing others. More details.. This is the recently released facelift model of the Brand’s much successful product AA5170. This new model sports identical specification of its preceding model. Good enhancement in performance and finesse of the earlier model, with a multitude of tweaks, audio performance enhancements and a much superior hardware. This HT speaker system comes with 700 Watts RMS power rating and 20Hz – 20 KHz frequency response. Key features include five discrete magnetically shielded speakers for surround sound, SD card slot, USB input and Bluetooth connectivity. Read User reviews..
With such a steady stream of first-class products releasing to market, this Best Home Theater Systems list updates often, so bookmark our website and like us on Facebook to catch the latest contenders and stay tuned with new product releases.